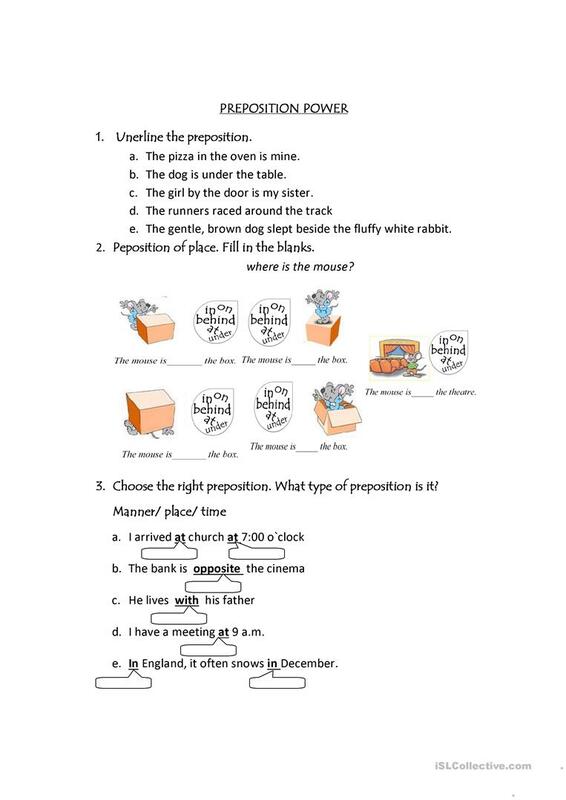 in the first part you have to Unerline the preposition then fill in the blanks and finally Choose the right preposition. What type of preposition is it? Manner, place or time. This downloadable handout was created for elementary school students at Elementary (A1) level. It is useful for strengthening your pupils' Writing skills. It centers around the vocabulary topic of Places. amelyaneli is from/lives in Peru and has been a member of iSLCollective since 2015-01-30 16:15:36. amelyaneli last logged in on 2019-04-18 20:28:36, and has shared 2 resources on iSLCollective so far.